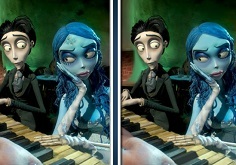 Are you girls familiar with the sad, yet spooky, story of the famous Corpse Bride? 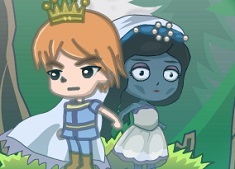 Well, if you didn't know this, a long time ago, a prince and his bride got married, and the bride died right on their wedding day, so, the prince managed to cast a spell to make his wife return from the dead, wanting to find a way to bring her back to life, afterwards. Well, obviously, that is not possible, and they must accept this. 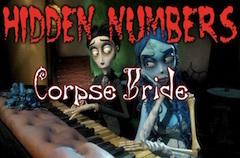 Today, our team has uploaded this new amazing game for you, girls, fans of this spooky corpse bride character, a dress up game, as you could already tell from the game title, and what you will get to do in this fun game, is to change the Bride's fashion style. 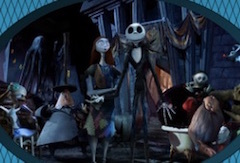 You will have various possibilities regarding all her looks, from her hairstyle, accessories, rusty clothes and so on, you can definitely change everything, so, it's going to be a very fun game. Enjoy this amazing makeover game, girls!